Samsung has officially launched its latest tablets in the Galaxy Tab S3 and the Galaxy Book, both of which offer the latest HDR screen tech. Both are now available for UK pre-order. The larger Windows powered Samsung Galaxy Book has a 12-inch Super AMOLED display with 2160 x 1440 resolution and HDR10 support while the Android OS toting Galaxy Tab S3 features a 9.7-inch Super AMOLED at a whopping 2048 x 1536 resolution also with HDR10. 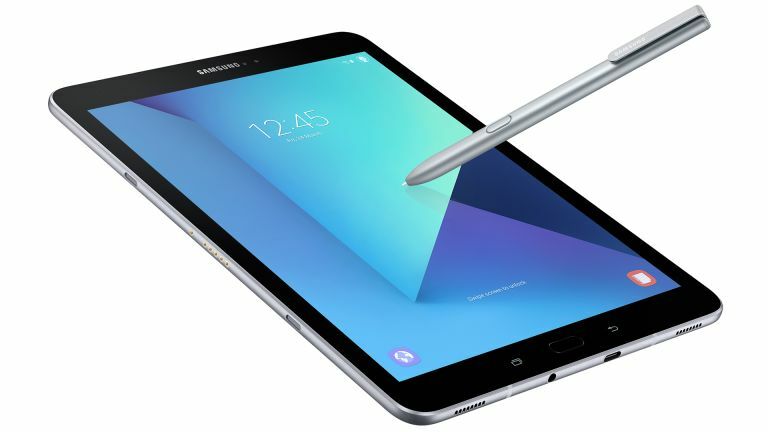 While the Tab S3 runs on a Snapdragon 820 CPU with 4GB or RAM the 12-inch Samsung Galaxy Book runs a 7th Gen Intel Core i5 processor with up to 8GB of RAM. Both feature 13-megapixel rear and 5-megapixel front facing cameras and LTE Cat.6 connectivity. They also both have Samsung’s fast charging for the best battery power up times and performance. The S Pen has been updated with a smaller 0.7mm tip, increased pressure sensitivity and features like Screen Off Memo, PDF Annotation and more. Samsung Flow connects a tablet and smartphone and uses biometric authentication to seamlessly share documents and even offer phone alerts on the tablet. The Samsung Galaxy Tab S3 will launch on 31 March and can be pre-ordered today from £599. If you pre-order before 31 March you’ll get a £119 keyboard book cover thrown in for free.